A mysterious letter with a strange key hinting at a Bootlegger’s criminal past and referencing ill-gotten hidden treasure in the millions send the Bootlegger’s son and his pal on an adventure of a lifetime. They will discover the truth about the shocking past and stumble into the surprising future. Free on Kindle. 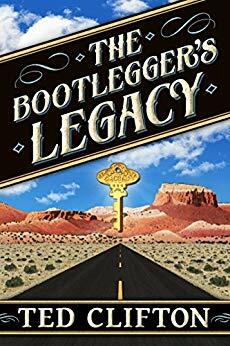 Find more mystery, thriller and suspense titles like "The Bootlegger’s Legacy" on bestmysterynovels.net. Each day we feature a selection of free and discounted Kindle books in the Mystery, Thriller & Suspense genres. Disclaimer: The price of the book above was accurate upon the publication date of March 23rd, 2019. However, Kindle book prices are subject to change at anytime without notice. Remember to look closely at the book price before purchasing it. If you'd like to return a Kindle book that you purchased, you can do so by following these Kindle book return instructions.